Satirists couldn't have penned a bigger disaster for KFC than a chicken shortage that resulted in it having to shut up shop at most of its branches. But the fast-food chain proved that honesty and a sense of humour can help a brand weather a crisis – and even come out on top. 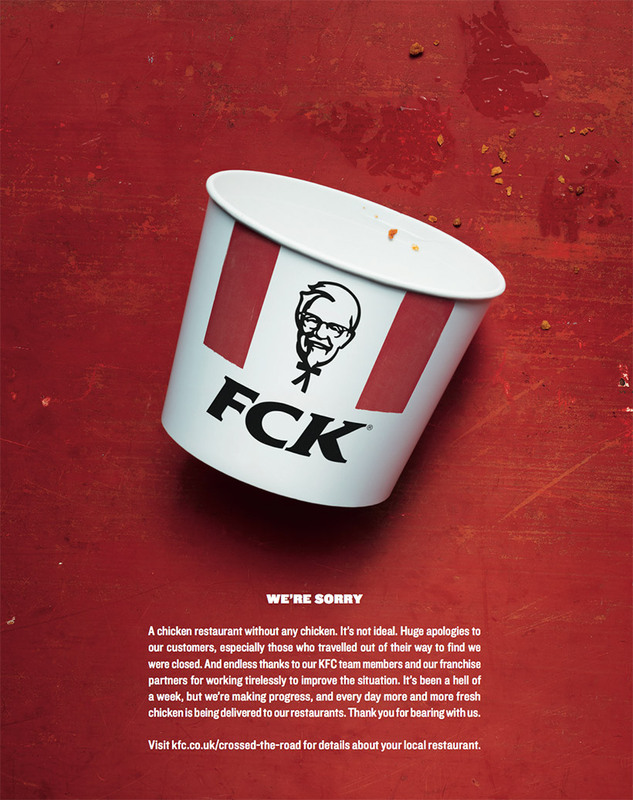 Mother London created a blunt print ad for KFC to apologise for the fiasco, rearranging the letters of its name to spell "FCK". Fans praised the witty and upfront approach, which lightened the mood at the end of one "hell of a week".